We are a parish of the Anglican Catholic Church. We hold the Catholic faith as expressed in the beauty of the Anglican Tradition, including the King James Bible and the 1928 Book of Common Prayer. We use the 1940 Hymnal. We maintain the Apostolic Ministry of Bishops, Priests and Deacons in unbroken male succession as set forth by the Apostles. We hold to the ancient Faith as declared in the Apostles' and Nicene Creeds, and as established by the first seven Councils of the Undivided Church in the first thousand years of Christianity. 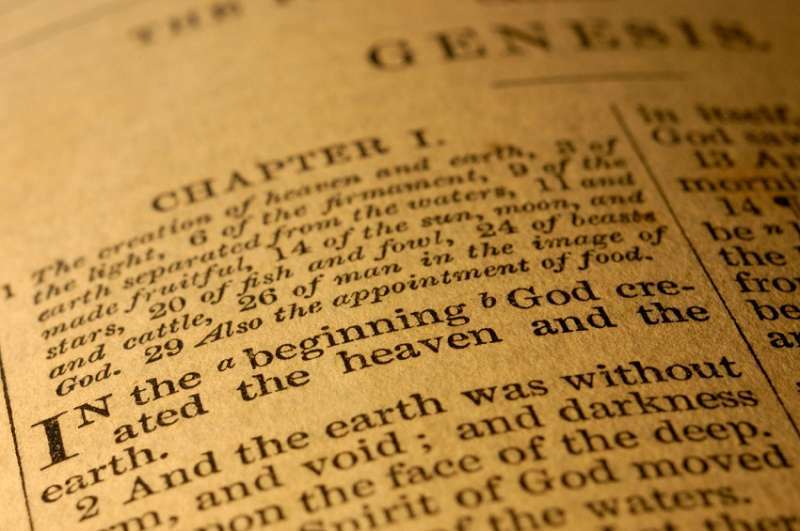 We believe Holy Scripture to be the inspired Word of God and to contain all things necessary for Salvation. Our worship is liturgical, centering in the Celebration of the Holy Eucharist. We rely upon the seven sacraments of Grace in our lives through which we approach God and in turn receive His blessings. We believe that Holy Tradition was given to us by Our Lord and that through the power of the Holy Spirit we are called to witness to Truth and not to conform it to the spirit of the world. We invite you to come and share this Truth with us. Come and see! 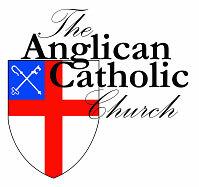 The Anglican Catholic Church is Anglican, which means 'English'. In other words, we are Christians who have an English liturgical and theological heritage and a spiritual heritage and an ancestral connection to the Church in England. The Anglican Catholic Church is Catholic, because it accepts the doctrine of the ancient Church, which has been "believed everywhere, always, and by all". The terms 'Protestant' and 'Catholic' are often used and very often misunderstood! Firstly one must understand that to be 'Catholic' one doesn't necessarily have to be 'Roman' Catholic despite what some in the Roman Church may claim. The Orthodox Churches of the East and in other places are Catholic Churches but not in communion with the Pope. The term protestant is equally often misunderstood. The Catholic Church of England separated from the Roman Catholic Church during the sixteenth century. However, although a Protestant Reformation was taking place on the Continent the English Reformation was fundamentally different in nature and intention. Primarily the reasons for its formation were political. King Henry VIII, whilst wanting to be independent of Rome, was not a Protestant in intention, although his reasons for separation were not especially honorable. Of course there are Anglicans who have wanted to be Protestant (in the way that continental reformers meant), just as there are Anglicans who want complete union with Rome. However, the Church of England was not formed in the same way as the Continental Protestant Churches. The Continental Reformation was primarily German, under the leadership of Martin Luther; French, under John Calvin and Swiss, under Ulrich Zwingli. The Continental Reformers accepted the principle called Sola Scriptura, that is, Scripture alone as the basis for faith and practice. However, the English Reformers appealed to Scripture as interpreted by the ancient Church, especially through the Seven Ecumenical Councils of the Undivided Church. The Continental Reformers also almost unanimously rejected or dropped the principle of apostolic succession. That is, bishops, by virtue of their consecration, being successors of the apostles, tracing a straight link back to them through history. But the English Reformation retained apostolic succession. Since the Continental Reformers rejected the apostolic succession of bishops and indeed developed a different understanding of the priesthood, they lost a 'valid' ordained priesthood. But at the English Reformation, the Church of England deliberately retained the title 'priest', because it contained a real truth and intention. Christ is the perfect priest. The Church is His body. The organ of a priestly body cannot be less than priestly. The Church of England maintained its apostolic ministry of bishops, priests and deacons. Its form of worship, though translated into English and somewhat reformed, nonetheless stood in continuity with the Church's historical worship. The goal of the English Reformation was to reform the practice of the Church and return to the ancient and Catholic faith. 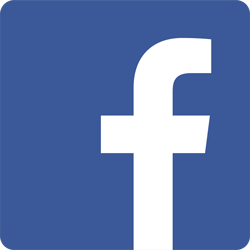 What do Anglican Catholics believe? The Anglican Catholic Church accepts the teachings of the Undivided Church, the Church of the first millennium of Church history. 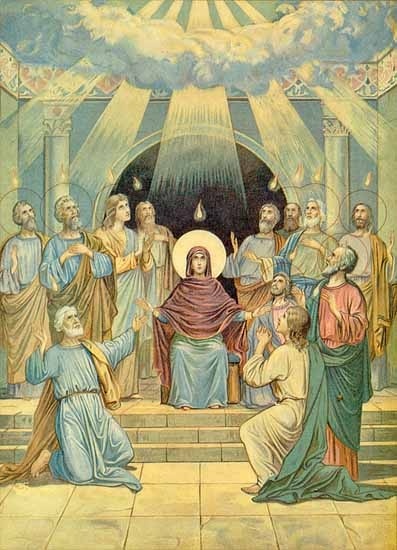 From the Day of Pentecost, when the Church was born, to the Great Schism in A.D. 1054, the Church was truly Catholic: one in faith and doctrine, even though there were differences between the way Eastern and Western Churches worshipped. Therefore, the Anglican Catholic Church claims, in essence, to be both an English Catholic Church and a Western Orthodox Church. The Anglican Catholic Church is part of the One, Holy, Catholic, and Apostolic Church of the Lord Jesus Christ, faithfully continuing the English Catholic tradition. We practice and uphold the historic Catholic Faith, with Apostolic Order, Orthodox Worship, and Evangelical Witness. We believe that there is one true and eternal God in Holy Trinity of Father, Son, and Holy Ghost, without any difference or inequality, Consubstantial, Undivided and of one Essence in Three Divine Persons through whom all that is, was and ever shall be, was created and has its being. We believe that Jesus Christ is the unique and final revelation of the Person and Purpose of God, in whom alone is the fullness of God's truth and grace, and that there is no other through whom salvation may be obtained. There are several present-day bodies, often described collectively as 'Continuing Anglicans' or the 'Anglican Continuum', some which claim and some which do not claim (or possess) descent from the 1977 Congress of St Louis. However, we believe that, strictly speaking, it is only within the Anglican Catholic Church (ACC), The Anglican Province of Christ the King (APCK), and The United Episcopal Church of North America (UECNA) that one finds the 'legitimate' continuation of traditional Anglican Catholicism. These three all share a common origin, stemming from the same apostolic succession - via The Right Reverend Albert Chambers and bear the same responsibility for preserving apostolic order and for being custodians of faith and morals as envisaged by the Congress of St Louis. A recent, exciting development, in terms of Church unity, is a reaffirmation of the mutual recognition and inter-communion between these jurisdictions. To all, and especially those of you who having waded through this page of text, we extend a hand of friendship and Christian Love and offer you an alternative - Please consider seriously the challenges presented to you and we hope that you will join us. In the ACC we have the essentials. We have, as the Affirmation of St Louis puts it, Orthodox Catholic Faith, Orthodox Anglican Worship, Apostolic Catholic Order in order to grow we need also Evangelical Witness. www.anglicanpck.org - Home website of The Anglican Province of Christ the King, other Anglican church we are in communion with. www.unitedepiscopalchurch.org - Home website of the United Episcopal Church, other Anglican church we are in communion with. www.anglicanbooks.com - Official publisher of the Anglican Catholic Church, can buy Prayer books and other books here. anglicancontinuum.blogspot.com - A highly informative and helpful blog for Continuing Anglicans.